Steaks are the ultimate in quick cooking. Fifteen minutes and dinner can be on the table. Plus if you’re feeling a little sluggish, maybe you need a little more iron, or perhaps a Guinness. 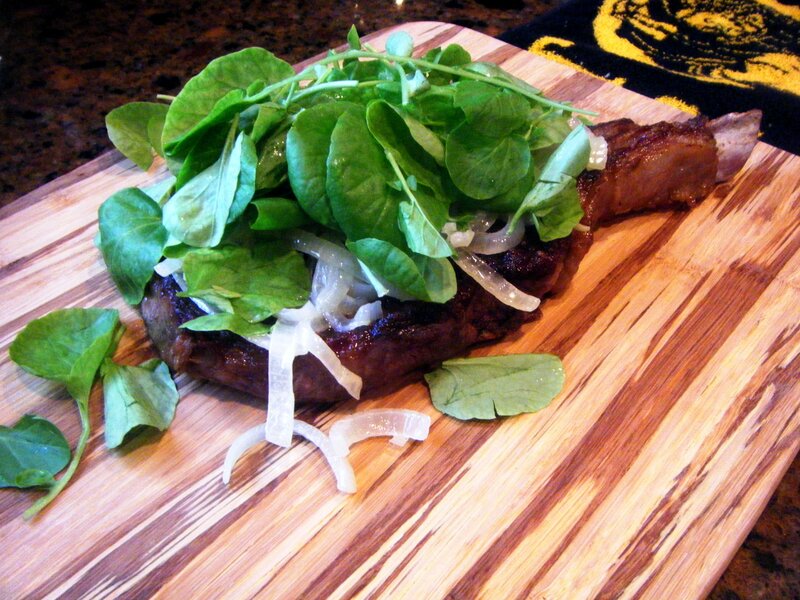 Tonight’s Gaelic version was topped with sauteed onions, watercress and a whiskey reduction. This is a wonderful combination, perhaps the best way to eat a steak, and like the Guinness it goes so well with, it gives you strength.